Generally, Mexican celebrations are known for their bright colors and delicious foods. So if you’re planning on throwing a fiesta gathering this summer, you’ll want to not only serve up some delicious Mexican-style food, but you’ll want to make sure that your tablescape matches the theme as well. 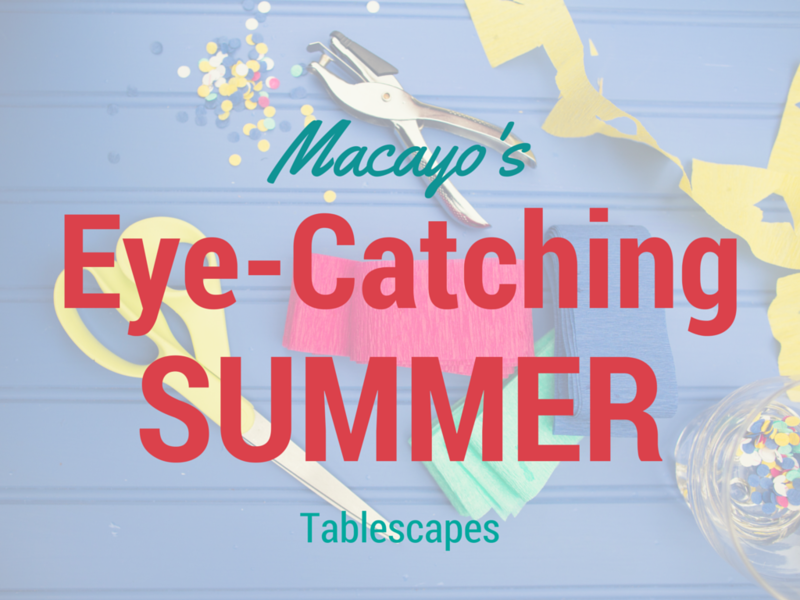 Transform your existing dining room or patio table into something your guests will be talking about for weeks to come with these fun tablescape and table setting ideas. Summer is the perfect time to pick up some beautiful, bright flowers and display them at your dinner table. Specifically, pick up floral bouquets that are vibrant in color, ranging from shades of red and orange to yellows and purples, which will give you table a festive look. To make things even more interesting, consider putting the flowers not in traditional vases, but in empty jars of salsa, Mexican soda, or canned beans. Another fun idea for your summer fiesta tablescape that you can do on yor own without a whole lot of time or effort is that of creating a serving tray using a sombrero, which you can get from your local party store for cheap. We recommend the wicker sombreros, which are inexpensive, durable, and often come in festive colors. You can line the rim of the sombrero with colorful napkins, and then fill the area with tortilla chips. On the side, serve your favorite homemade salsa or dip to go with it! When it comes time to set the tables, make things fun by using not just plain-colored napkins and placemats, but ones that vary in color and preferably match or complement the colors of your floral arrangements. You can use throw-away napkins and placemats here or, if you have reusable ones, feel free to bust those out as well. It all depends on what suits your overall theme and budget. Finally, be mindful of how you set your tables; traditionally, family-style seating is found in authentic Mexican food restaurants, and this style of seating allows everybody to easily converse and share food as desired. If you only have round tables to work with, that’s fine, but ideally you will want to have long, rectangular tables where shareable foods such as chips, salsas, and other appetizers are never more than an arm’s reach away. Also, when setting up your floral arrangements at the table, make sure they’re not too tall to the point that people sitting across from each other are unable to see each other’s faces and hold a conversation! As you can see, there are so many fun ways to set up your fiesta tablescape in a way that’s festive and unique while incorporating some DIY touches in the process. And while we’re on the subject of Mexican food and fiestas, we’d like to announce that Macayo’s has a brand new drink menu that we’d love to have you stop by and try out for yourself!